Sometimes it is nice to play a game and just relax and that is what I was able to do with Copoka. No worry about a convoluted story or high impact action where you stick behind a wall while explosions happen every ten seconds. 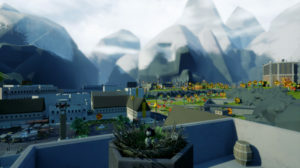 Copoka was even marketed as a “mellow open world exploration game.” This game is pretty short, but is also the length it needs to be to remain enjoyable. You can pick it up for only five bucks on Steam so I am sure you could probably get it for a lot less during the right sell. 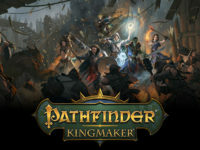 It is good when a game can have a few simple mechanics and premise putting it all together competently to craft a well-executed experience for the player. Since Copoka is an open world game the way you get around is extremely important, so it is nice to fly high above Copoka taking in all the breathtaking scenery. The story is drip-fed to you by landing near people where you can eavesdrop on their conversations getting a glimpse into their lives and their opinions on how things are going in this neat little city. 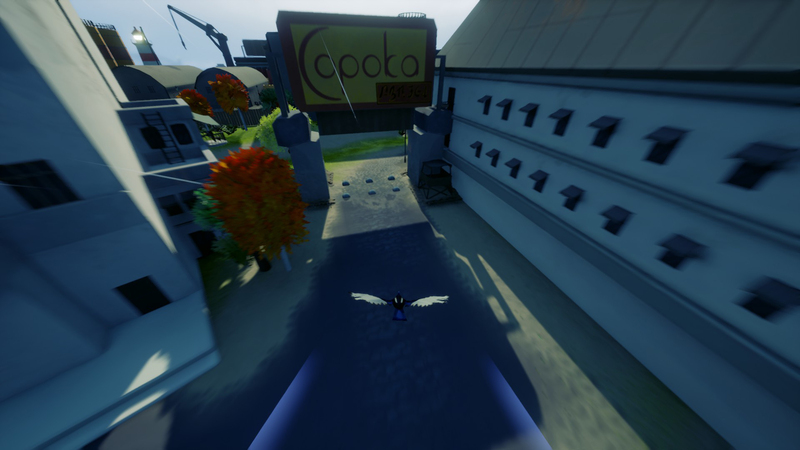 In Copoka you must also fly around the city collecting trinkets for your nest. 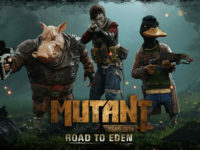 These will take you across most of the map in the game. Besides the collectibles, you find for your nest you can also find feathers, which increase your speed. It does help, but it is more to give you something else to collect instead of helping you get around with haste. When I say Copoka is short, it is only four chapters and I was able to finish it in about an hour. Each chapter has a small time jump as you see a city on the brink of collapsing. A misguided totalitarian government, scared and confused citizens, and a rebel group who does bad things with good intentions. The only problem I had with Copoka is one time I was stuck and had to restart my game. 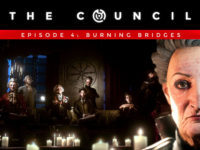 I did spend more time with the game due to its pleasant sound track that is offered as free DLC. The developers do recommend playing with a controller and I tried both and got by all right with keyboard & mouse. It did feel more natural playing with the controller though. If you feel the need to land, you can chirp at random pedestrians who might offer some dialogue back at you. Copoka is a little over a year old, but I consider it an overlooked gem well worth your time and money. 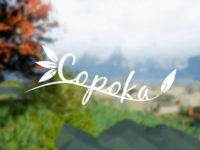 Copoka was developed by Inaccurate Interactive and published by Guru Games for the PC on July 1st, 2016. 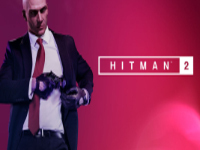 A digital copy of the game was purchased by myself for reviewing purposes.